What happens when the unstoppable force of climate change meets the immovable object of Australian politics? On Saturday 16 April I was lucky enough to be a part of the You Are Here Festival, launching the Kill Climate Deniers project. 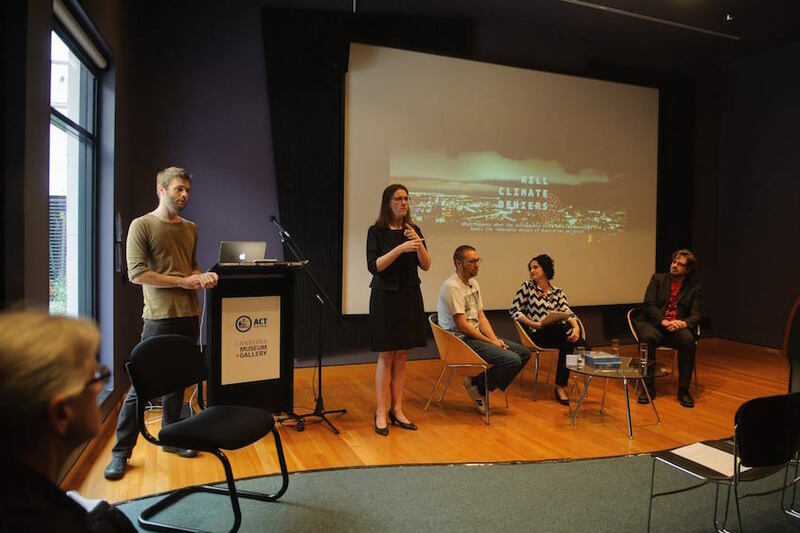 First, the festival and I put together a conversation event at the Canberra Museum and Gallery. Journalist Ginger Gorman, legal theorist Mark Fletcher and artist Bernie Slater gathered to speak about the idea of taxpayer-funded political art. Kill Climate Deniers is an ideal example of this, but Bernie Slater’s work also frequently falls into this mode. The conversation was fantastic, a really rich and lovely discussion, with probably just the right amount of raised voices and threats of violence. Don Aitken (who wrote one of the initial posts in response to Kill Climate Deniers receiving funding) wrote a reflection on the event which is well worth a look. 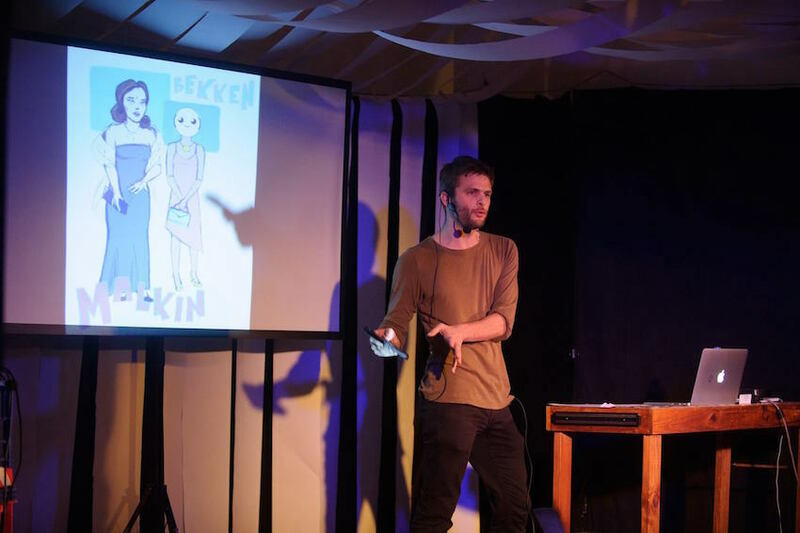 Then that evening, I presented my solo performance (An Attempt To Perform) Kill Climate Deniers at the festival hub. Sitting somewhere in between a performance lecture and storytelling event, this is my effort to capture the whole blockbuster action story of KCD in a single hour-long event. 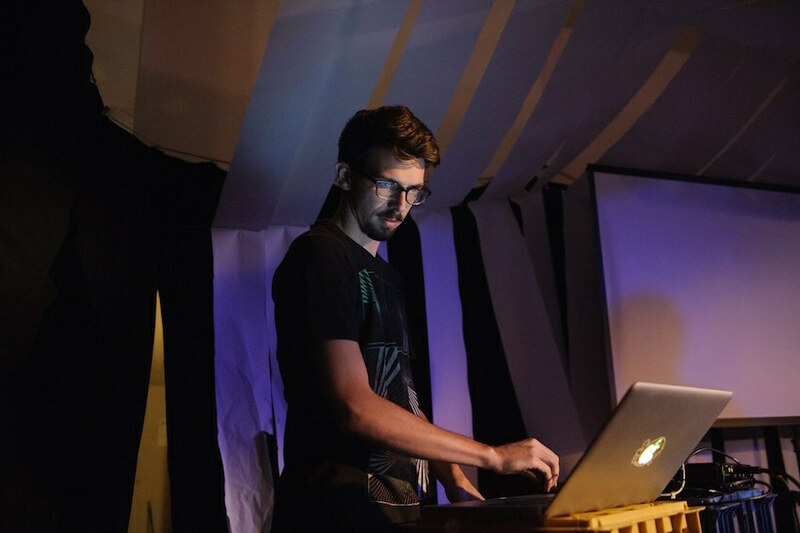 The crux of the event, and the most wonderful thing to happen to me in a long time, was that the solo show was backed with a dance party, with Reuben Ingall in his Dead DJ Joke guise playing a set of classic House and Techno from 1988-93. And there was no gap, the live performance went straight into the dance party with no break. And the audience were totally on board for this nonsense, and the second Reuben kicked off with Unbelievable the whole crowd burst to their feet and went for it. Life is good sometimes, and by sometimes I mean when Reuben is playing. Now the outcome of all of that is that the Kill Climate Deniers website is launched, and the ebook playscript is available for download. Which is exciting, and if you feel the urge, you should get amongst it. The next step is that the album will come out, with music by Reuben and words from the play, released through the Clan Analogue label mid-year. ← Should projects like Kill Climate Deniers receive government funding? Kill Climate Deniers © 2016. All Rights Reserved.